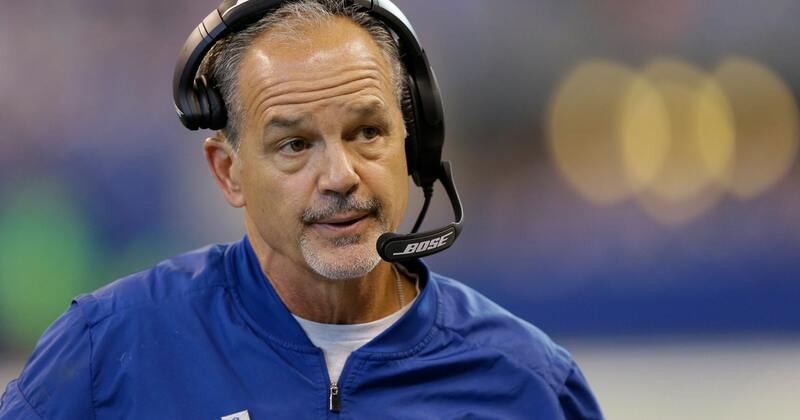 INDIANAPOLIS — The Indianapolis Colts fired coach Chuck Pagano on Sunday, less than two hours after they ended a 4-12 season with a 22-13 victory over Houston. The move comes after Indy missed the playoffs for the third straight year, the team’s longest postseason drought since a seven-season absence from 1988-94. With Andrew Luck missing the entire 2017 season, Indy never had a chance. The Colts wound up with their first losing season since 2011, their second since 2002, and the first in Pagano’s six seasons as coach. Indy made one of the greatest one-season turnarounds in league history in 2012 as Pagano battled leukemia, then captured AFC South titles in 2013 and 2014. They advanced as far as the AFC championship game following the 2014 season, before losing at New England in what was dubbed the “Deflategate” game. Pagano was rewarded with a four-year contract extension following the season, with the hope things would get better. They didn’t. Irsay responded by firing general manager Ryan Grigson, bringing in Chris Ballard as the new GM and keeping Pagano while talking about the need to return to the playoffs. Instead, Luck’s rehab continued into October before the Colts shut down his throwing program because of lingering soreness in the shoulder. Luck went on injured reserve in November without taking a snap, and that was too much for the Colts — or Pagano — to overcome.